This itinerary is also available as a 5 day tour, starting on Day 3 of the 7 day itinerary in the Taroko National Park. Please contact one of our GetAboutAsia destination specialists for more information. Welcome to Taipei! Your designated GetAboutAsia guide will pick you up at the airport and transfer you to your hotel for check-in. Spend the rest of the day at your leisure and get ready for the adventures ahead. After breakfast, your guide will take you on a half-day tour through this fantastic city. Visit the National Palace Museum, the Martyr's Shrine, a Chinese Temple, Chiang Kai-Shek Memorial Hall, the Handicraft Center, and of course the Presidential building. Dive in the culture and life of the city! Today you will head towards the Taroko National Park. en-route stop at the Chinshui Cliff, a 21 kilometer length of coastal cliffs averaging 800 meters above sea level in Xiulin Township, Hualien County, Taiwan. The tallest peak, Qingshui Mountain, rises 2408 meters directly from the Pacific Ocean. 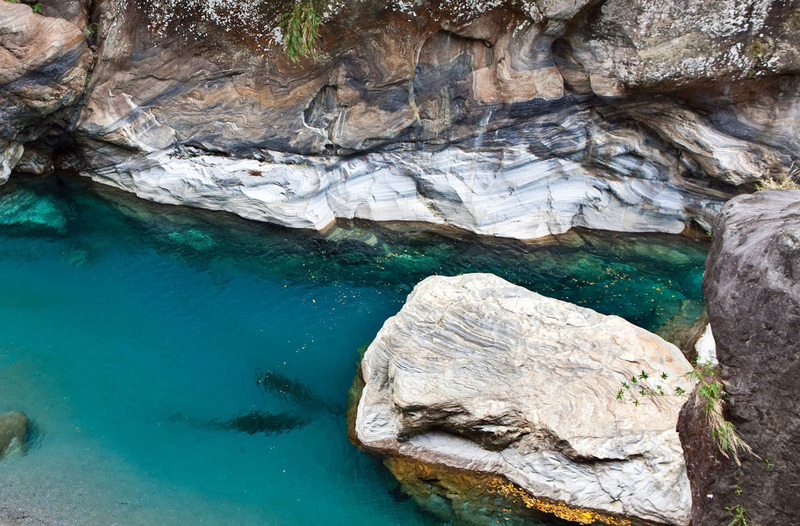 Continue to Taroko National Park, one of the nine national parks in Taiwan named after the Taroko Gorge, the landmark gorge of the park carved by the Liwu River. Enjoy a visit to the Eternal Spring Shirne before heading to the Swallow Grotto. When standing near the middle of the grotto, it’s possible to see two vastly different views on the east and west. The east side of the grotto is more flat, with yellow-brown metamorphic gneiss rock, while the west side is steeper with primarily grey-black marble rock. The differences in landscape are due to the erosive power of the Liwu River and its effect on the rock. The upstream marble is more resistant to erosion, creating a narrow and steep gorge, as opposed to the downstream gneiss rock which is more easily eroded, creating a wider, flatter landscape around the riverbed. A fabulous nature experience! Enjoy a ride through the island's mountain roads and enjoy the fantastic 360 degree views at Mt. Mehuan before continuing to Sun Moon Lake. 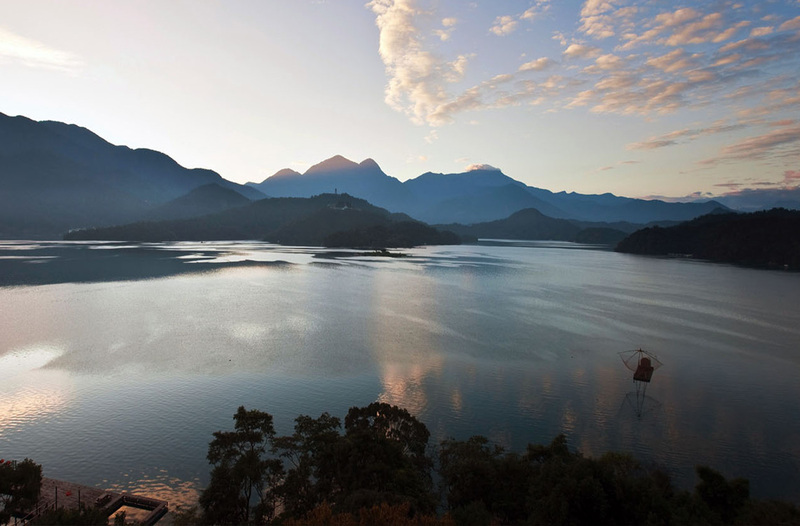 Sun Moon Lake is in the foothills of Taiwan’s Central Mountain Range. It’s surrounded by forested peaks and has foot trails. East of the lake, the Formosan Aboriginal Culture Village is a theme park with a section devoted to re-created indigenous villages. Displays here include centuries-old carved lintel pieces, handicrafts and weapons. The Sun Moon Lake Ropeway cable car offers views of the mountains and water. Enjoy an overnight stay at the lakeside. After breakfast your guide will bring you to the Holy Monk Shrine en route to the Tehua Village where you can also visit the Tse En Pagoda. Afterwards, proceed to Tainan with its anping Fort and maze of old streets. Soak up the ancient atmosphere in this little village before heading to your hotel for your overnight stay. In the morning, visit the Chikan Tower and the confucius Temple, enjoy some free time to walk around the area and explore before continuing to Kaohsiung. visit the largest monastery in Taiwan, the Foguanshan Monastery. Visit the Main Shrine and the attached Buddhist Museum. For lunch, enjoy a light meal in the monastery. In the late afternoon, drive to Kaohsiung City, the biggest city in Southern Taiwan. Check in at the hotel and enjoy the beautiful night view from the hotel, stroll through the cities or visit the famous Liuho Night Market. On your last day, visit the Dragon and Tiger Pagoda in the morning, then enjoy some free time to enjoy a walk around or relax in one of the many cafes. Around lunchtime, your guide will bring you to Lukang in the North, here you will visit the Lungshan temple and the Lukang market. Make a stop at Sanyi, the famous wood-carving village with its many photo possibilities. In the evening, arrive at Taoyuan International Airport of Taipei for your onward journey.